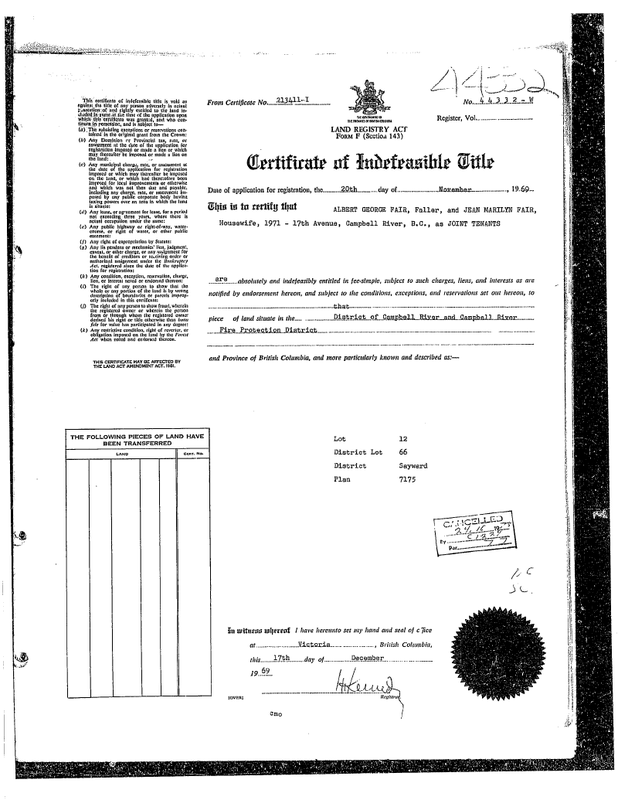 HOW DID A DIRECT ORDER FROM THE bc SUPREME COURT for the funds IE: UNDER THE GUISE OF CHILD SUPPORT (SECTION 56 FRA )to be applied to a 1988 BMO former matrimonial mortgage debt turn into the GREAT WRIT-US HABEAS CORPUS ? using toxic agents and assassinations in an effort to undermine federal and state government and advance their interests. To be eligible for a QC appointment, individuals must meet the requirements of the Queen's Counsel Act.Queen's Counsel. outstanding contributions to the legal profession or in public life by being appointed as should Crown prosecutors be compelled to testify about their decisions? legal abuse victim wants the court to decide how the principle of solicitor-client privilege applies to Crown prosecutors and government lawyers who may be called to explain their decisions. Crown decisions have, in the past, remained largely free of scrutiny as part of a long-standing principle of prosecutorial independence. 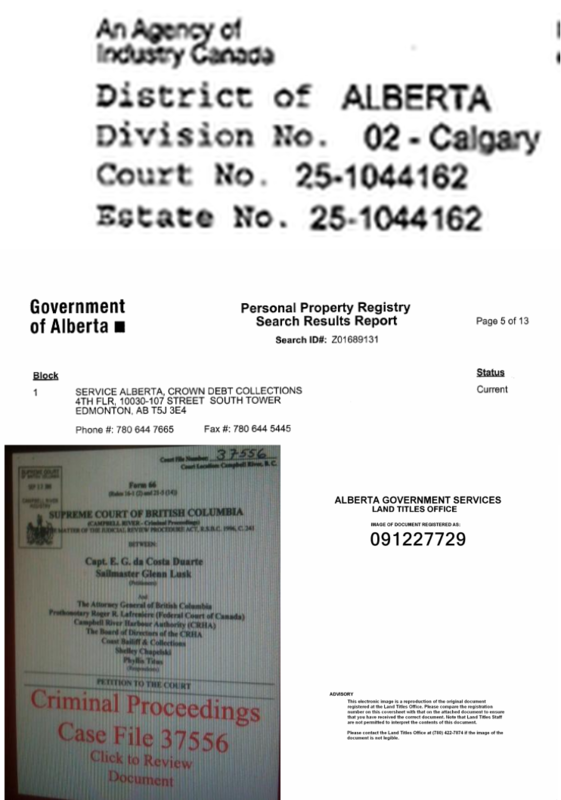 Attempted Fraud in Real Estate Transaction A Calgary lawyer reported to the Law Society an attempted fraud on his law firm and vendor of property in Black Diamond, Alberta. A realtor contacted him about an overseas purchaser, a Dr. John Donald, who was interested in buying the property for $298,000 with a deposit of $5000. An offer to purchase was prepared and emailed to Dr. Donald who then emailed the vendor directly and sent him an executed offer but without the deposit cheque. A counter-offer was emailed. The lawyer received three responses with an attachment which was not the counter-offer but the original offer with a statement that he had instructed his accountant to forward sufficient funds to complete the transaction. The lawyer again contacted Dr. Donald that the transaction could not proceed unless a deposit had been provided by certified funds, and that his telephone and fax number had been provided. The lawyer then received a cheque in the amount of $350,000 which was not requested by the law firm. 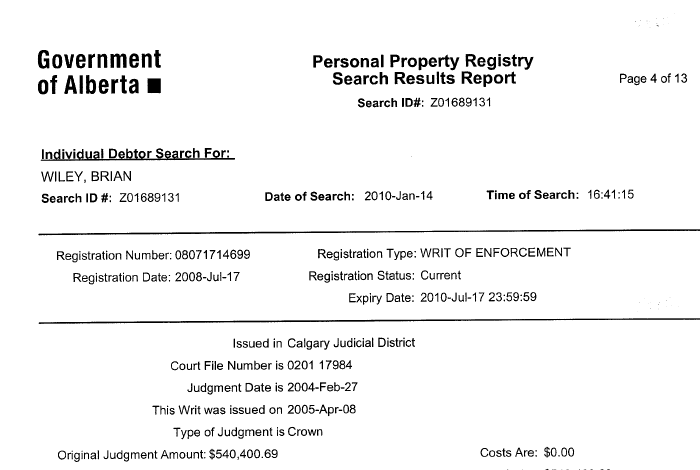 The Royal Bank determined the cheque was not certified and was fraudulent. Alberta lawyers are advised to take care in dealing with overseas purchases in a real estate contract and to be careful when a potential client ignores or refuses to provide telephone and fax numbers or identification. 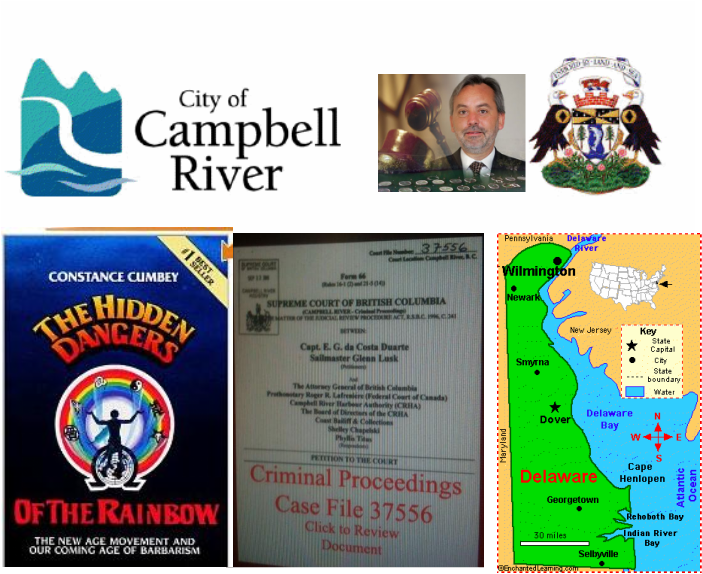 How did a JUNE 19 1995 CAMPBER RIVER final BC SUPREME COURT end up in FLORIDA? 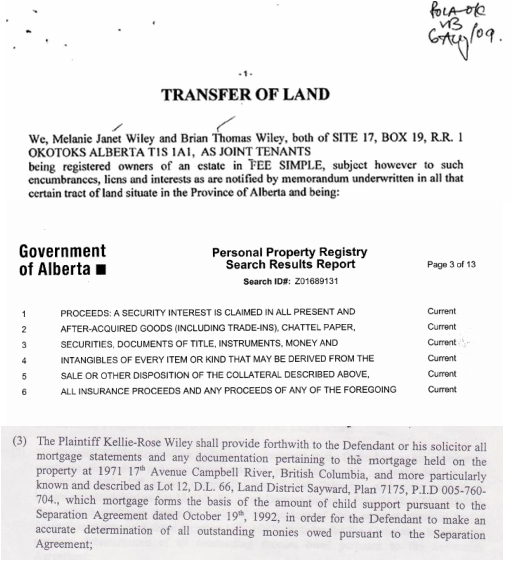 How does an INTERNATIONALLY PROTECTED person UNDER INDIAN ACT open up a 13 year old US BANKRUPTCY CASE attached to A DOUBLE DEED FRAUDED CAMPBELL RIVER BC property WHILE BEHIND BARS IN SAN FRANSISCO MILITARY JAIL? 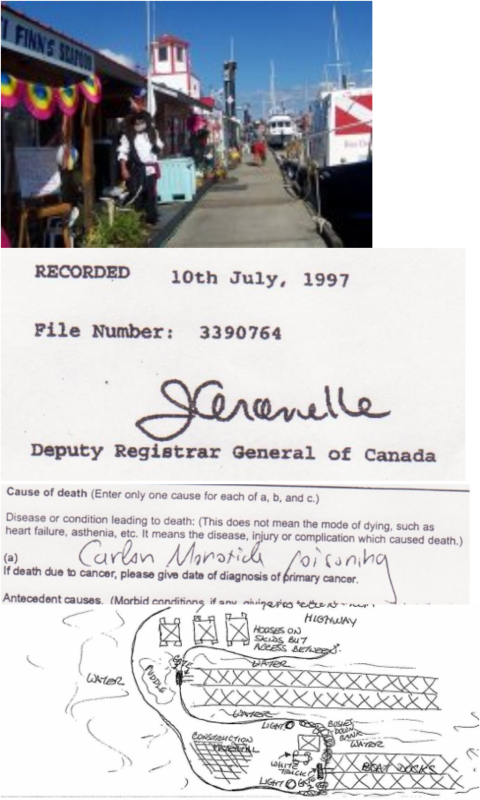 How did this CAMPBELL RIVER BC DEED even get out of CAMPBELL RIVER? 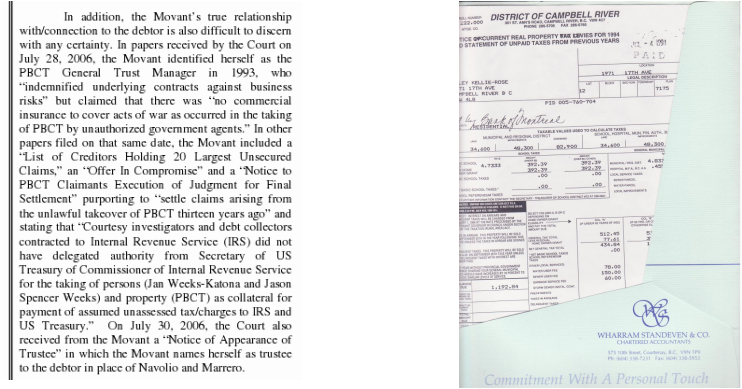 Why wasn't the MORTGAGE DEBTOR[payer told he was in a 1993 US CORPORATION BANKRUPTCY CASE IN FLORIDA ? prosecutorial independence corruption AND ABUSE OF POWER causing death and grevious injuries. 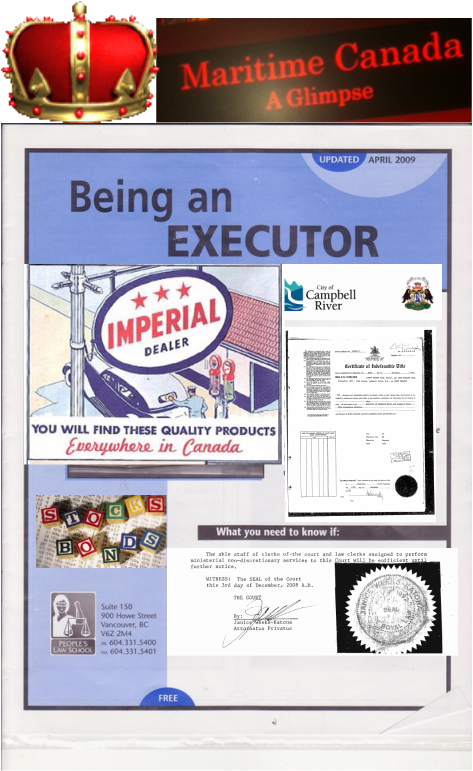 US AND CANADA ROYAL SOVEREIGN LAWYERS CITIZEN MOVEMENT INDUSTRY part of a fringe in-house prosecutorial goverment FORGERY militia group. BC WELFARE US MAXIMUS -QUEEN AGENTS - robosigner mortgage fraud US SOVEREIGN CITIZEN MOVEMENT militia group. I will tell you what I know in brief summary. Justice Karen Horner is the judge that Kangaroo-ruded me. For becoming the accessory to my ex frauding me out of all the matrimonial from a divorce with zero exemptions. She is an extended family member to the Royal Family on the Prince Philip side, and so is her cousin Doug Horner Alberta's Deputy Premier. And so is BossMan Chief Justice of SCC. And Stephan Harper too.